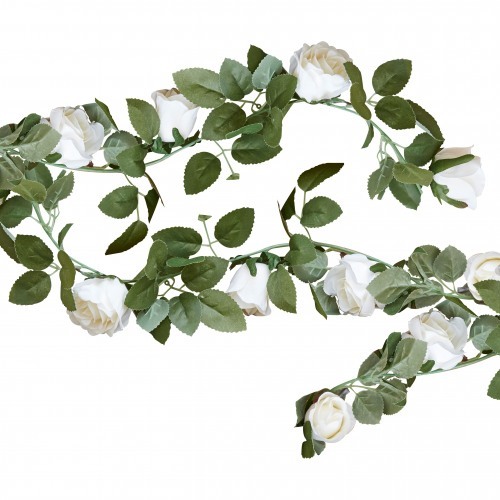 This White Floral Garland will add a gorgeous romantic feel to your celebration. This dreamy garland can be used to frame a special area, laid across tables or hung over doorways and walls. A perfect way to add a whimsical touch to your rustic or floral baby shower, sure to look stunning in photographs.